Experience the jovial atmosphere of Dhaka after dark during this 4.5-hour excursion exploring the city’s entertainment scene and street food. Hang out with the locals as you watch a Bengali love story performed at the national theatre, ride a rickshaw to an area famous for its street food, and visit sights like Dhaka University lit up at night. *Experience Dhaka like a local during this after-dark sightseeing tour. *Take a rickshaw ride through the busy nighttime streets of Dhaka. *Enjoy street food favorites like 'biryani' (mixed rice) or 'chapatis' (flatbread). *Check out sights like Hussaini Dalan (a Shia religious site) and Dhaka University. *Small group trip limited to a maximum of 6 guests. Meet up with your guide and group in the early evening at the Navana Tower Shopping Complex. You’ll hop aboard a local transit for the ride to Dhaka’s National Theatre. Enjoy a traditional stage show at this venue known for its performances of Bengali love stories. The quality of your experience is sure to be notch, as most of the performances are run by one of Bangladesh’s professional drama troupes. 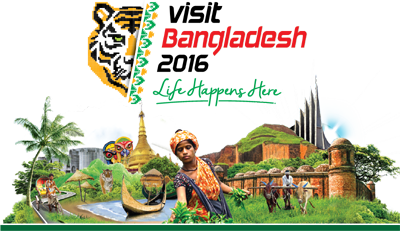 It’s a great way to get a sense for Bangladesh culture and entertainment. After the show, hop aboard a rickshaw for a ride through the busy streets of Dhaka to a district that’s famous for its street food. Browse the mouth-watering treats for sale at the many stalls, choosing among local favorites like ‘biryani’ (mixed rice) and flatbreads like ‘chapatis’ and ‘naan.’ Once you’ve filled your belly, enjoy a walk to some of Dhaka’s local attractions like Hussaini Dalan (a Shia religious site) and Dhaka University. At the end of your night of fun, you’ll be dropped off back at your hotel. Local transportation to the national theater. Dinner and other additional food and drinks. Souvenirs and items of personal nature. Dhaka is a conservative Muslim city, therefore please dress modestly, with your shoulders and knees covered. A maximum of 6 people per booking.